A Grand Wedding will take place in Silkroad! And here is where it will all begin! Take the first step to forever with your life time party partner. 1. Couples who wish to join “The Grand Wedding” event should plan and prepare their wedding invitation. The couple should include the couples’ character names, server and the name of attendees. 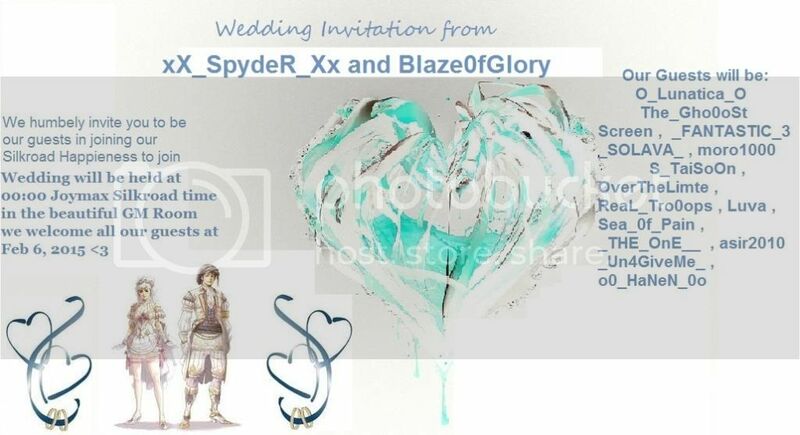 Couple should also finalize the Date, and Time (Joymax Standard Time) when their wedding will be held, and the venue of the wedding in-game. 2. 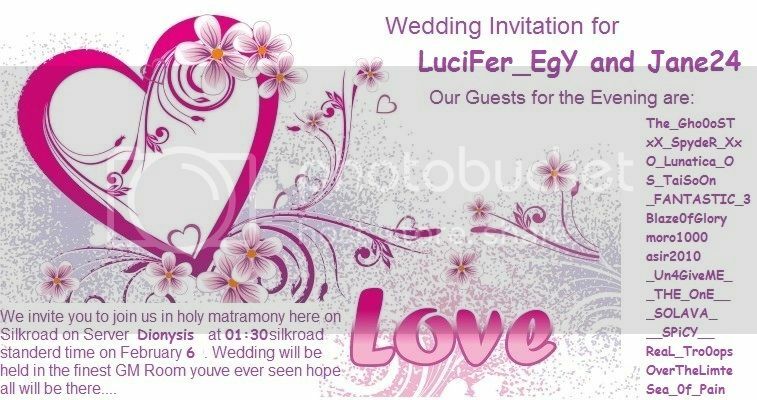 Once the details have been settled, either the bride or groom can submit the wedding invitation under “The Wedding Invitation Event” thread on Silkroad Online Facebook Page. 3. Among the entries, GMs will select the couple that will be qualified for the Grand Wedding. A schedule of confirmed weddings will be posted every week. - The couple and attendees listed in selected invitations can qualify for the in-game event, “The Grand Wedding”. - At the end of the Event Period, 10 players who have submitted the most creative invitation cards will be given an extra prize. The Invitation should clearly indicate the character names of attendees/friends you wish to come and celebrate your union of love. Couple can invite 10-15 guests. If your requested time is unavailable, the player will be contacted via FB to reschedule or set your wedding on a better or available time slot. Once your wedding schedule has been approved by the GM, it cannot be re-scheduled to another date or time.